Welcome to our world of Free Online Social Casino Games. Phonato is a premium casino slots development company which was established in May 2013. Phonato is famous for its exclusive casino slots apps which are made by the experts. Our in-house team has the most efficient Developers, skilled Designers, proficient Quality Analysts and a highly qualified marketing team. Our team gives it’s best to give a user real thrill of Las Vegas. Phonato games are available across multiple platforms like Apple (IOS), Google (ANDROID) and Facebook, Phonato has developed a range of casino slots games like Blackjack, Roulette, Craps, Vegas Slots and many more. Phonato Studios, an online casino game development company that took the big challenge of delivering mobile-friendly, enjoyable free casino games for Android and iPhone. Our page is dedicated to all the veterans and amateur mobile casino gamers around the world. Our products are designed so as to meet the most real of all casino experience. These include from Classic Vegas Slots or fruit machines to psychologically engaging card games. We believe in delivering a range of great taste of casino art blended with the classic essence and modern delights of Vegas. We have published a wide collection of games on the best platforms:- iOS, Android, and Facebook. Among them Free Vegas Slots, Double Jackpot, Vintage Slots, Blackjack, Write my paper Roulette, Craps and Baccarat are the Gems of us and we are glad that millions of players are having the best fun with these games. Our social games have been captivating the audiences with highly engaging and visually appealing features over the years. They have been tailored to hold your attention and entertain you with a stunning experience. With our expertise in the online social casino space, they have been the talk of the town and continue to do so. 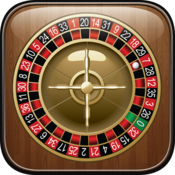 The biggest benefit of playing mobile casino games is the convenience factor. You can access our games from anywhere in the world and enjoy the experience from your Android or iOS mobile devices. The online casino games offered under Phonato Studios are meant for amusement or entertainment use only. These involve virtual currencies which are not meant for real money gambling nor for exchange with real money. Our casino games do provide some of the best fun, only the games from best developers offer but playing them does not imply or guarantee any future success in real money gambling nor does imply as an opportunity to win monetary prizes. Download and play our free casino games from our App store or Google play store http://www.phonato.com/apps/ and be a part of the community of millions playing our games every day. Vegas Slots – Play Las Vegas Casino Slot Machines!